Thanks to the help of incredible fans and an amazing group of friends, Reid's debut Album peaked at 97 on the iTunes Top Pop Charts on the weekend of the album's release! Sadly, we only got a screenshot of it at 111 but it was an incredible day for the entire Reid Lee Music team. Thank you to all the people who helped to make this happen! Salute to Reid Lee! Starting our day off on a positive note – I found the caption underneath his latest video for “To The Limit” to sum up his song and my own personal beliefs like they were meant to be together all along…it reads: “Push yourself beyond what you believe yourself capable of.” I couldn’t agree more – that’s how the best creative-breakthroughs end up happening! Check out the empowering pop-anthem singer/songwriter Reid Lee has created and get your day moving in the right direction. This particular single comes from Reid’s debut album called Broken Arrows, which is already out there for you to enjoy on all the major platforms like iTunes & Spotify – go get it! But before you go – have a look & a listen to the video for “To The Limit” below! Reid Lee has been making major waves this year with his new album Broken Arrows; a stunning record that showcases his work as both a songwriter and performer. Making traction with a series of singles and videos, most recently “To The Limit,” which premiered last week. We had the honor of catching up with Reid Lee for an exclusive Indie 5-0 which you will find below! 1. Your new album, Broken Arrows, is gorgeous. Is there a major theme that appears in each song? I would say there is a major theme IN each song, but that each song has a different major theme. These are all stories, life lessons really, from my life. Things I’ve learned in moments when the landscape of my world shifted. So, while no two songs really have the SAME theme, each song definitely does embody a theme of one of those life lessons. 2. When did you start working on this album? Technically, I started working on the album back in Late February/Early March of 2016, but the truth is I’ve been working on it my whole life, in one way or another, either living the stories to tell, or prepping myself with the performances of other music, I’ve been working on what I wanted to say as a performer. 3. What do you want your audience to take away from your music? I’d like the listeners to know that you aren’t alone. Although the human experience has us trapped in our own bodies, we are all the same type of animal. We are all human. You aren’t the only one who’s ever felt the way you do. I want them to feel as connected to the music as I do, and in turn connect to me. That’s what my music is about, reaching out and connecting. 4. Do you write music or lyrics first? That all depends on what I hear in my head first. Some days a melody will come to me and I’ll think “oh this should be a love song” and then find the kind of lyrics that fit the type of love song I want to write, but other days I’ll find a lyric and think “I have to build a song around this”, and depending on the lyric I’ll find the type of melody that matches. Once in a rare while, the whole song will come to me in a flash, one or two of the songs on the album did that, and I’ll have to sit down right at that moment and write the whole thing, those are the moments of what feel like divine inspiration. 5. I know you’re probably still celebrating your album release, but do you have any other plans coming up? I do! I’ve just released my second music video for the song “To The Limit”, one of my favorites off the album, and coming up I’ll be releasing another cover song, and at the end of the summer I’ve got a concert in LA that will hopefully be kicking off a small west coast tour! Stay tunes to my social media @ReidLeeMusic on Instagram and Twitter, and Facebook.com/reidleemusic for all the latest updates about the tour and the music! Singer-songwriter Reid Lee has released his debut album Broken Arrows, an elegant collection of emotive pop. “The title Broken Arrows, is about boldly taking chances, regardless of the outcome. For years, I fooled myself into believing I felt complete performing other people’s music. Now, it is time for step forward and speak up with my own words,” Reid shares. And Lee doesn’t fall short from these words through the lyricism of this album. The album kicks off with Arrowheads, a soulful and sweet Americana track with a country heart, telling the story of a man in love while gone off to war through rich harmony and a romantic lead vocal. He then makes you feel the heartbreak of losing a lover without saying a final goodbye in Lady Macbeth. You can hear the revenge and power he gains after having insight of a lost requited lovers goodbye in his voice throughout the evolution of the song. He finishes off the album with I’ll Take Care Of You, an old soul country inspired hymn that brings his love story album back into full circle, offering to put a roof over his lover’s head again. The heart and soul Lee puts into this album is evident in each guitar strum and vocal note hit. Definitely worth a listen! Acclaimed musician and songwriter Reid Lee brings his new album Broken Arrows to the table today. Already charting on the iTunes Pop Album Charts, his makes an impression on all those who listen. His latest single “Save the Best,” has been putting the artist in the spotlight more so than ever. Reid’s sublime musicality is inextricably linked to his life journey. His birthplace of Corpus Christi, Texas, his foundational training in opera at UCLA, and his adopted and spiritual home of Los Angeles have all imbued his work with a kaleidoscopic artistic and personal perspective. Reid takes inspiration from country, jazz, classical, opera, soul, and the warm intimacy of the Laurel Canyon 1970s singer-songwriter tradition. Broken Arrows is a 10-song collection (plus a slow and stately acoustic version of an album track) of separate stories that frame the tapestry of Reid’s life in a manner that’s broadly relatable. Standouts on Broken Arrows include the sweetly soulful opener “Arrowheads,” the urgently anthemic “To The Limit” replete with heavenly vocal harmonies, and the majestic classically tinged “Lady Macbeth.” On “Arrowheads” Reid sings some of his grandfather’s story and recalls the minor miracle of being a young boy discovering arrowheads while on an outdoor trip with his grandfather. TGIF Installers! It's #newmusicfriday and we're keeping our eye on Reid Lee's debut album, BROKEN ARROWS, which dropped today. Reid is a proud and active member of the Los Angeles LGBTQ+ community who is using his platform not only to share his chops as a captivating musician, but as a vehicle to spread a message of love and understanding to the queer community. Los Angeles Patch writes, "LA-based Reid Lee is not your average singer-songwriter. Today he releases his captivating release, "Broken Arrows," that has been garnering attention not only in the area, but on an international level as well. With his new video for "Save the Best," the piece has put Lee on the radars of many, as he touches upon the topic of domestic violence in the LGBTQ community." You can check out the "Save the Best" video below or go to www.reidlee.com to learn more. Reid Lee is an out-and-proud Californian who is showcasing his powerful new video of the single "Save the Best," which tackles the issue of domestic violence in the LGBTQ+ community. At the end it highlights three organizations who help anyone in the LGBTQ+ community needing support; The Anti-Violence Project, Gay Men's Domestic Violence, and FORGE. Today Reid also releases new hew record "Broken Arrows," which is already charting on the iTunes Pop Album Charts. Watch & Post: Reid Lee "Save the Best"
Reid Lee has been making waves lately with his new video for "Save the Best," an eye opening video which touches upon domestic abuse in the LGBTQ community. Today he releases his new record, "Broken Arrows," which has already made its way onto the itunes Pop album charts. Prior to Broken Arrows, Reid toured professionally, sung background vocals on multiple cast albums, and established himself as a triple threat, a gifted singer, dancer, and actor. Along the way, he has performed with such icons as Stevie Wonder, Jennifer Holiday, Leann Rimes, Linda Ronstadt, and Sara Bareilles. Broken Arrows is a 10-song collection (plus a slow and stately acoustic version of an album track) of separate stories that frame the tapestry of Reid’s life in a manner that’s broadly relatable. Reid Lee's "Broken Arrows" is out today. Reid Lee brings to us today his hard-hitting video for "Save the Best," which focuses on domestic violence in the LGBTQ community. Reid explains, "I’ve been in love, but love isn’t always healthy or good for you. As I went down memory lane with clearer eyes (and some therapy), I saw the reoccurring pattern of behavior in not only myself, but my partners as well. For me personally, it stemmed from alcoholism in my family that unfolding later in partners. Abuse can be subtle, it can sneak into your life under the guise of affection, or jealousy, or worry; and once it takes root, it grows quickly and can explode without warning. This video, for me, is about how the nebulous line between affection and aggression is like the wave on the sand, constantly moving; and just how uncomfortable living in that space can be. The shoreline is constant, but just because you’re dry at the moment doesn’t mean you won’t be flooded when the tide comes in. You can wake up one morning and realize that you’ve slowly let yourself drown because the water kept saying “I love you.”"
“I’ve been in love, but love isn’t always healthy or good for you. As I went down memory lane with clearer eyes (and some therapy), I saw the recurring pattern of behavior in not only myself, but also in my partners as well. For me personally, it stemmed from alcoholism in my family that unfolded later in partners. Abuse can be subtle, it can sneak into your life under the guise of affection, jealousy, or worry; and once it takes root, it grows quickly and can explode without warning. Exposed Vocals: So tell us your story. Where did you grow up? What made you decide to become an artist? Well, I grew up in South Texas, moving from the small town of Beeville to the slightly larger town of Corpus Christi around 9. It was a great place to grow up, with great morals and good ideals. I started singing at an early age in church choirs and at school, and grew up singing with my Grandfather. Every holiday he’d pull out his guitar and the whole family would sing old country, gospel, and holiday songs together. He had a beautiful voice and his talent saved his life during WWII, but that’s a story for another time. Exposed Vocals: Since everyone was a start-up once, can you give any smaller or local bands or artists looking to get gigs and airplay some tips? Well, to be honest, I still consider myself a start-up! Ha! I’m hustling pretty hard to make sure my music is heard, and the weight of that stays mostly on the artists shoulders. I think the idea here is to realize early that it is a marathon, not a sprint, and plan accordingly. Just continue making your music, keep putting it out, keep performing, eventually your tenacity and persistence will win out. Other than that, all I can say is – ASK! If you never ask you’ll never receive, ask friends for help, and other friends to share your social media, ask the owner of a bar if you can play their, that kind of confidence in yourself will show through; in your music, and in the business. Exposed Vocals: Do you ever make mistakes during performances? How do you handle that? All the time! But that’s the nature of the beast with live shows. Thankfully I had quite a background in Musical Theatre and Opera, where the show keeps going even if you lose a line, or sing a note off key. The important thing there is to get back on the horse and make the rest of the show even better! Power through; don’t let one misstep throw you off your game. You’re human, and the audience knows that. Use that moment and engage them, make them laugh, the more they see you the more they’ll engage with you, and at the end of the day isn’t that what we all live for? The energy that’s tossed back and forth between the audience to the performer. Exposed Vocals: Do you tour? Anything interesting happen on tour that you think our readers would enjoy hearing about? I’ve toured a LOT in earlier versions of my career, especially in the musical theatre and opera world. However, I haven’t toured yet with this music. That’s the plan once the album comes out is to go on a west coast tour, and then maybe hop on a bigger tour after that. Truth be told, plenty of interesting things happen on tour, but the vast majority is travel; on a bus, on a plane, in a van, you’re stuck reading or watching Netflix for large chunks of time with the same people who end up being like your family. Sometimes you love them and sometimes you hate them, but for better or worse, they’re yours. Exposed Vocals: Any planned studio upgrades? What are you working with now? Nothing planned for my own personal studio at the moment. I do plan getting a better home mic so that I can record snippets of song in a better way, as the inspiration comes, but mostly I love the studio I work in now, and other than contributing the snack bar, and the polaroid wall, nothing too large planned yet. Exposed Vocals: How do you find ways to promote your music? What works best for you? I’ve been really lucky, I have incredible fans! My fans have really helped me to showcase my music. I’ve used a lot of social media marketing and a few strategically places interviews, but the truth is, my fans help the most. I’ve also been doing a big push on the other platforms, on youtube and soundcloud, just to see if I can widen that reach, but the world revolves around social media these days, and if you can lock in a solid core audience there, then you’ve got a great start. Exposed Vocals: If you could perform anywhere and with any artists (Dead or Alive) where and who would it be with? Why? Woah, this is a super hard question, because I have such a wide breadth of music that love and listen to, and there have been countless musicians before me who are incredible ins so many different ways. I have to cheat, and say a couple different people and why: David Bowie – He was magnetic and I think we would have harmonized amazingly Ella Fitzgerald – She was the greatest interpreter of song there ever was, what I could have learned! Johnny Cash – He was just unstoppable, a freight train in music. Bette Midler – She was a consummate entertainer and knows how to take the audience on a journey. Dolly Parton – No one can draw an audience in like Dolly, she can turn a phrase into an odyssey. I guess there are a few places I’d like to perform and I’ve been really lucky this far in my career to play in incredible places, But I would be honored to perform with any of these people on any stage there is. Although, I certainly would love performing at Carnegie Hall, or maybe Lincoln Center. Exposed Vocals: If you weren’t making music, what would you be doing? I’d probably be in some type of service industry. I love helping people, and have consistently thought about going into one of the healing arts, or medicine to some capacity. Though truth be told I also love organizing things, so it’s very possible I could be some kind of expert closet organizer or something. Exposed Vocals: Any Shout-outs? You have to do shoutouts! I’d like to start with my Amazing PR team Ariel and Molly, thanks for getting me this interview! But then I’d like to say thank you to all the people that have helped make this dream happen, to the fans, to the people who donated to the album, to my closest friends who have had to put up with me learning the business of music for the last year, to my Social Media Guru Cameron at Mercury Venus Digita who never stops helping me when I don’t understand something on social media, and most of all to my Mom & Dad, without them none of this would be happening, thank you so much for your belief in me; because, as we all know, belief makes things real. 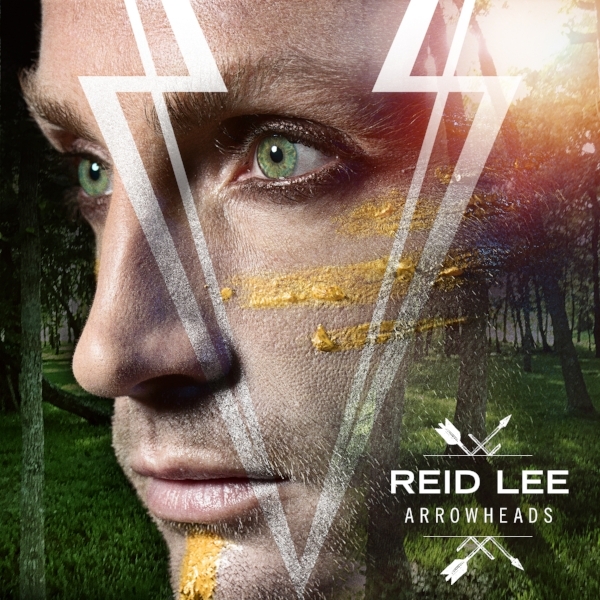 Reid Lee’s “Arrowheads” is soulful and sweet Americana rack ith a country heart, tellin the story of a man in love while gone off to war through rich harmony and a romantic lead vocal. Lee’s scaled many a mountain in his lifetime. Originally from a small conservative town in Texas, Reid Lee dedicated his life to music after coming out as a teen and moving to California. After graduating from UCLA’s prestigious music school, he moved to New York on a whim and landed the lead role on an off-broadway show. Following years of performing in plays, a drunken talk with his normally stoic father encouraged him to branch out and start writing some original music. After his father’s passing, he found his voice. Taking inspiration from country, jazz, classical, opera, soul and the warm intimacy of the Laurel Canyon 1970’s singer-songwriter tradition.